Feathers: This beautiful throw pillow cover adds elegance to any living space. This design is truly a work of art. The most timeless and comfortable fabric in fashion. Durable and easy to look after. The real color may not be the exactly same as showing in the pictures due to the color difference of monitors. Size: 18 x 18 inch / 45 x 45cm. 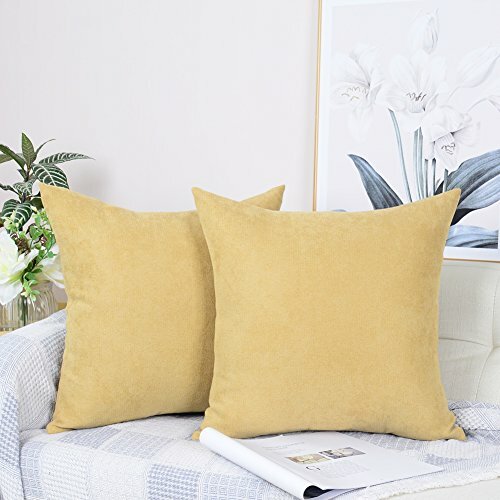 Suitable for sofa, bed, chair car, home, office. Both sides have same design, Invisible/hidden zipper closure In One Side. Cushion cover ONLY (NO Insert) No Filler. The price includes 2 cushion covers. Economical choice for customers. If you have any questions about this product by MERNETTE, contact us by completing and submitting the form below. If you are looking for a specif part number, please include it with your message.